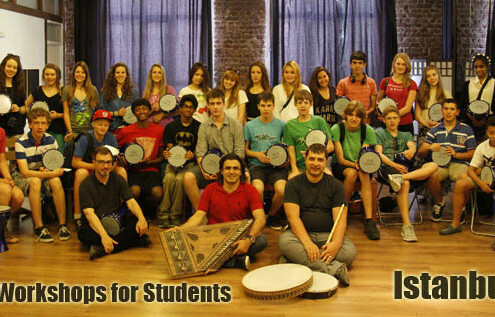 We as a Les Arts Turc Team offers you a change to learn the basic & advanced levels of Traditional Turkish Music with different Instruments. We have professional teachers and will be happy to teach you the techniques and imporving yourself during your visit in istanbul. They also can help you finding the right instrument for you. Ottoman court music has a large and varied system of modes or scales known as makams, and other rules of composition. A number of notation systems were used for transcribing classical music, the most dominant being the Hamparsum notation in use until the gradual introduction of western notation. Turkish classical music is taught in conservatories and social clubs, the most respected of which is Istanbul’s Üsküdar Musiki Cemiyeti. A specific sequence of classical Turkish musical forms become a fasıl, a suite an instrumental prelude (pesrev), an instrumental postlude (saz semaisi), and in between, the main section of vocal compositions which begins with and is punctuated by instrumental improvisations taksim. 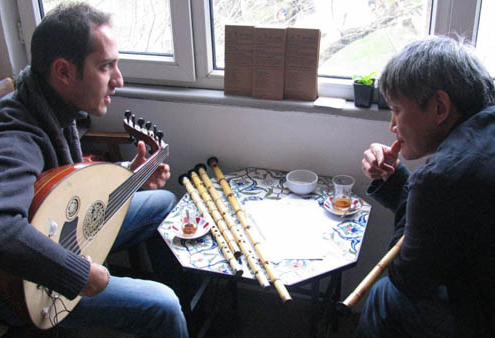 A full fasıl concert would include four different instrumental forms and three vocal forms, including a light classical song, şarkı. A strictly classical fasıl remains is the same makam throughout, from the introductory taksim and usually ending in a dance tune or oyun havası. However shorter şarkı compositions, precursors to modern day songs, are a part of this tradition, many of them extremely old, dating back to the 14th century; many are newer, with late 19th century songwriter Haci Arif Bey being especially popular.